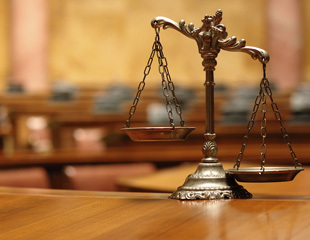 Pre-Trial Services - We have years of experience in assisting you in preparing for trials. The RIGHT way from the beginning. Persuasion has years of experience in assisting you in preparing for trials. We are experienced with everything from video depositions to custom graphics. Doing it right the first time saving you and your client valuable time and money. With an array of pretrial services we can assist you every step of the way. All details are considered with your case in mind. Let us assist you in your case preparation. Pre-Trial and In Court / Trial services. We have over a decade of litigation experience working in the courtroom aiding you and your team. Our skills focus on: PRE-TRIAL, TRIAL, EQUIPMENT and DIGITAL FORENSICS. During discovery, we assist you in determining your needs and advise you on the best way to proceed so your evidence is being prepared for trial properly. Our technicians manage all of your exhibits, depositions, video, and any other demonstrative evidence, which will be presented in court flawlessly, timely and in an effective manner. We bring real world experience to your case. Our talented team has worked in other industries such as graphic design, computer forensics, and television production. This allows us to prepare and design your evidence specifically for you and your case. We are more than trial technicians; we are also consultants for you and your team. Your arguments are integrated seamlessly and effectively for a persuasive presentation. We are available to travel anywhere your case takes you. If your destination does not have all of the equipment that your case requires, we can provide any equipment and integrate it into the court system.